A Turning Point is a critical time in your life where big decisions could lead to big change, both in work and in life. A Turning Point typically shows up about every 10 years of adult life between ages 18 and 65, but, of course, some experience fewer or more Turning Points and experience them at different times. Our outline is a general estimation. Change anything and everything. Now! Take time for careful introspection, develop a long-range plan, and implement. We talk about Turning Points a lot at Highlands because it’s during a Turning Point that you often seek the help of a coach or career counselor who advises you to take the Highlands Ability Battery (HAB). 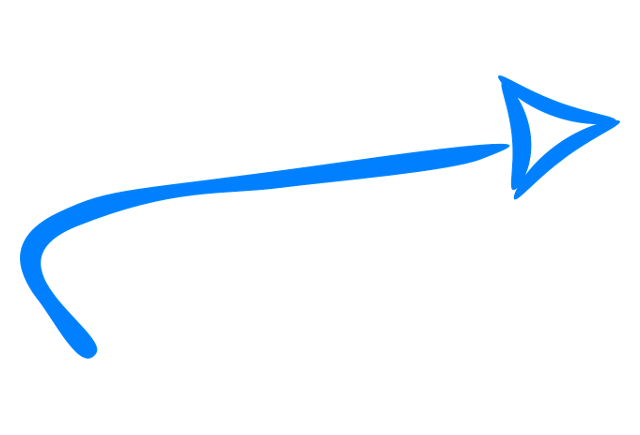 Here we explain what often happens during each Turning Point (also called a Development Stage). This is the first career decision that most of us make. It is one of the most predictable Turning Points of all. As a teenager, you are ready to separate and become independent from your family, and the first Turning Point is the first step in this process. Your first Turning Point is an ideal time to take the HAB because it allows you to start college with knowledge of your natural abilities, and it gives you two or three good career options to explore. Most people make some career decision between the ages of 22 to 25. This will set you on the path of your first Building Stage. These decisions can range from the decision to continue with school, to starting that first job, to staying home with parents. Your first job should be the first step in a larger vision. If you take just anything, you run the risk of having to start over at age 30. Whatever path chosen at the Second Turning Point tends to continue for some five to seven years. In the ages from 28 to 33, you will likely reassess and reevaluate that path. If an initial path was completely unsatisfactory, it is at this Turning Point that you will start over. Even if your first career choice was a good one, you will likely modify it here to enlarge it or expand it by starting a family or moving geographically, for instance. You arrive at the end of your first life structure (about 20 years) in the ages from 40 to 45. At this point, you typically want something different from your career than what was wanted until now. It may be a goal or a value that you started with but then left behind at an earlier age. It may be a goal or value completely new to you. You may want to add something you have been missing or overlooking – a new interest, for example. 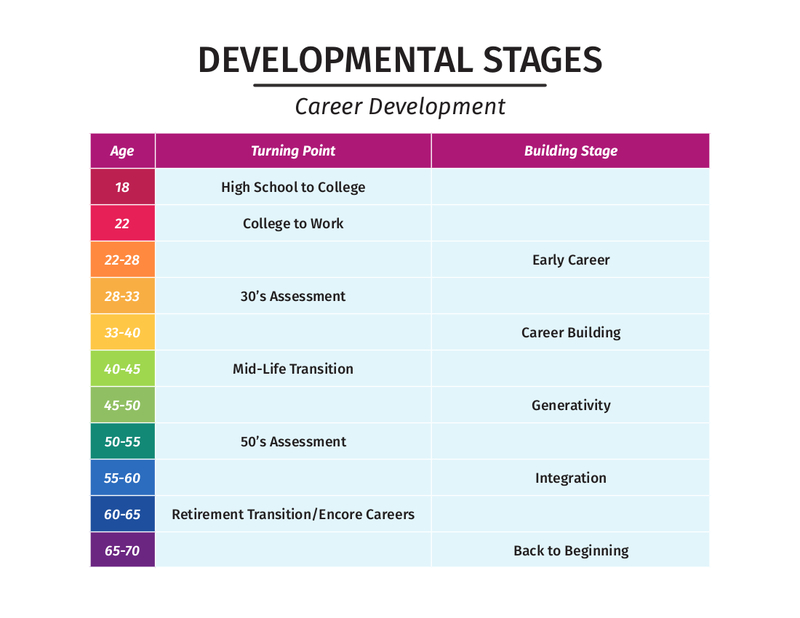 Just like the 30’s Assessment, you will likely take stock of choices you made at the Mid-Life Transition after five to seven years. This is an opportunity to modify directions chosen earlier, or in some cases to start over again if choices were unsatisfactory. At this time (age 60 to 65), you have reached the end of the second 20-year life structure. You must make major changes in direction and goals, and begin your third life structure. It is potentially a time of great integration, satisfaction, and happiness. Unfortunately, it is often a time of disappointment and depression. Success with this Turning Point depends on the choices that have preceded it at other Turning Points. Again, your Turning Points may look slightly different or occur sooner or later than we’ve described here, but you can count that we all go through big shifts, and an examination of your natural abilities can guide you in prosperous directions. Take the HAB and find out for yourself.